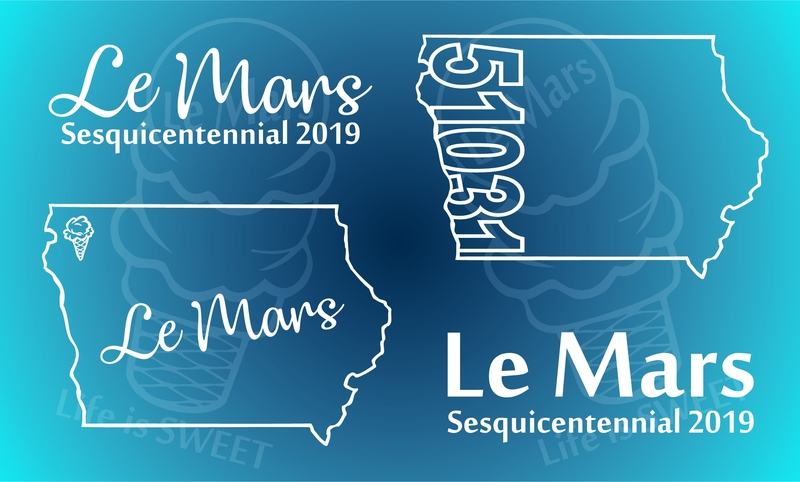 Le Mars is celebrating 150 years! Get your Sesquicentennial shirts ordered. The celebration is June 12-16, 2019. Great gift ideas! Orders placed by the 15th of the month will be ready for pickup/shipping about 10 business days later. We will contact you if you are picking up in the store. You can choose LOCAL PICKUP AT GET BRANDED 360 or pay for shipping to your address. Why wait?? Get your items now! We also have some shirts in the store. Stop in and check for availability.